Hasura has announced that event triggers are now available in Hasura GraphQL Engine. This open-source capability is designed to enable developers to rigger serverless functions or webhooks whenever there is a change in the database. According to the company, some use cases that this will provide include creating push notifications that trigger when a new review is added; purging a CDN or cache to re-render static content; updating a search index when a product is inserted, updated, or deleted; or triggering asynchronous business logic. “Hasura makes it easy for developers to close the loop between their serverless backends and their apps. When serverless functions running business logic are triggered, propagating information back to the end-user on say an app used to be a challenge. 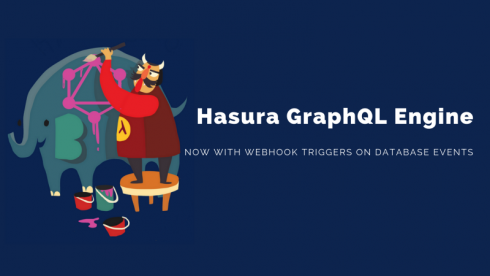 Hasura’s real-time GraphQL makes it easy for developers to do this without any effort. Developers can use realtime GraphQL to build reactive UX to go along with their async backends,” said Tanmai Gopal, co-founder and CEO of Hasura. Pusher has announced Beams, a new API designed to help developers ensure that transactional information is delivered to users. Beams provides a hosted service that can manage the device token lifecycle for both iOS and Android applications. It also provides Insights to help track delivery acknowledgement and open events. Finally, it will offer a Debug Console for troubleshooting issues in real-time. The Linux Foundation has announced that enrollment for its new blockchain course, “LFD271 – Hyperledger Fabric Fundamentals,” is now open. The course will introduce core concepts of blockchain and distributed ledger technologies. It will also introduce the core architecture and components that comprise Hyperledger Fabric applications. Later this year, it will release Certified Hyperledger Fabric Administrator and Certified Hyperledger Sawtooth Administrator exams. Eggplant has announced the release of two new products as part of its open-source communities initiative. According to Eggplant, these products will help out the JMeter and Selenium communities. Eggplantium allows customers to run Selenium WebDriver scripts against mobile devices in a reliable way.